Celebrate Vegan uses mainly pantry staples, although a few recipes call for more exotic ingredients. Seasoned chefs and cooking novices alike will find the chatty recipes easy to follow. Most recipes are simple, while more elaborate holiday treats invite readers to explore new techniques. Sidebars bring to light unfamiliar holidays, as well as interesting facts and cooking tips. 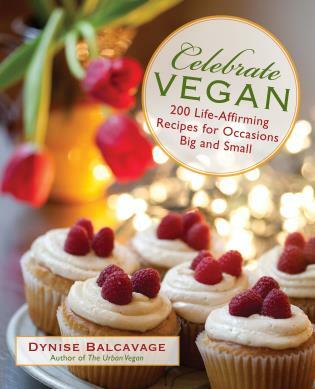 Dynise Balcavage is the author of The Urban Vegan (Globe Pequot Press) and eleven books for young readers. She has published recipes in VegNews, the Philadelphia Daily News, Herbivore, and Végétariens (France’s first vegetarian magazine), and has been interviewed in the New York Times, the International Herald Tribune, and Vegetarian Times. She blogs at urbanvegan.net.